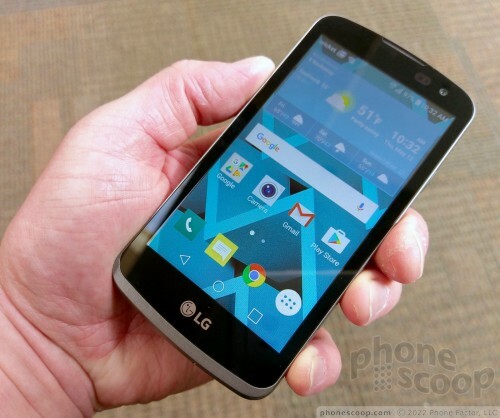 With the LG Spree, it's a case of "you get what you pay for." At $40, the Spree is as cheap as they come. The hardware is adequate for young people or those with small hands, but the software simply isn't able to keep up. The design may be a bit simple, but the Spree is well put together. I wasn't that impressed with the screen, but battery life is sufficient and call quality is loud, if not entirely clear. Data performance was a bit slow. The Android 5.1 OS is getting a bit old and the Spree's anemic processor doesn't provide enough juice to get Lollipop licking. The sluggish performance drags down apps like the camera and Google Play Store so much they become frustrating to use. Speaking of the camera, the Spree's is not good enough. Cricket Wireless offers a decent selection of phones under $100. If you must spend less than $50, the Motorola Moto E is a far better choice, and if you can manage $80, the Alcatel Idol 3 is another winner.